In case you forgot, this Sunday, August 30, is the 2009 Virgin Free Festival. Check out the full schedule in words after the jump. PS PJ Sykes will be on the ground at VFF for bumpershine this year. Mates of State: 1:30-2:25 p.m. 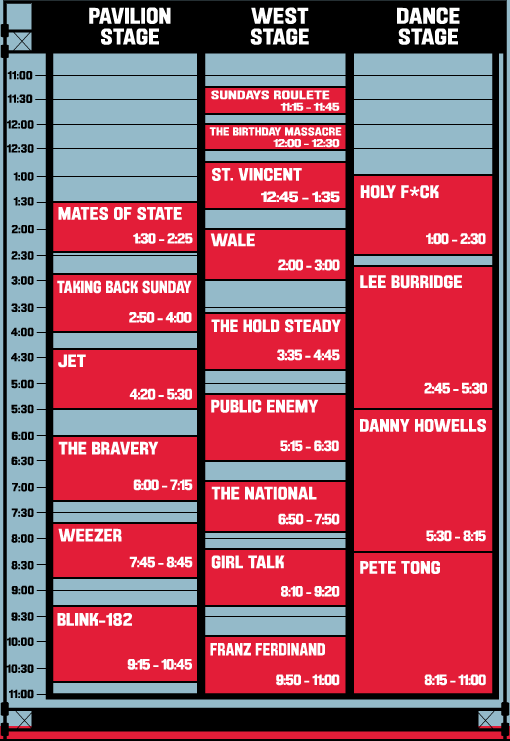 Taking Back Sunday: 2:50-4 p.m. The Birthday Massacre: noon-12:30 p.m. The Hold Steady: 3:35-4:45 p.m.